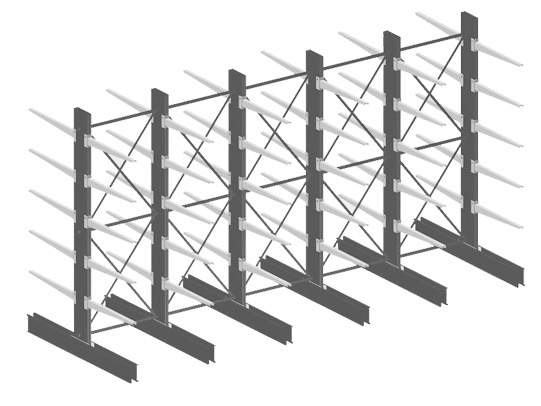 What is Cantilever Rack Systems? 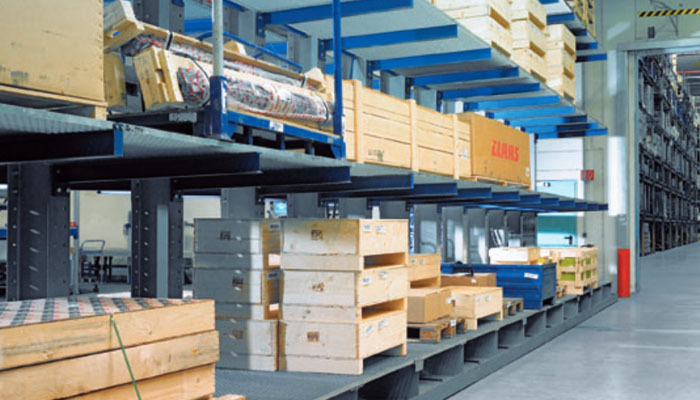 Cantilever racking systems are ideal for storing long goods or other non-standard sized items. The list of products that can be stored ranges from plastic tubing, steel pipes, profiles and wooden planks to furniture. All cantilever uprights from SSI SCHAEFER can be used as single-sided or double-sided designs and the rows of uprights can be any length required. The cantilever arms can be modified flexibly for stored goods with different heights and loading requirements. Subsequent adjustments and adaptations can be made without tools. In case you would like to store special materials or need to meet specific ambient conditions, our expert consultants will be happy to design customised concepts for you. 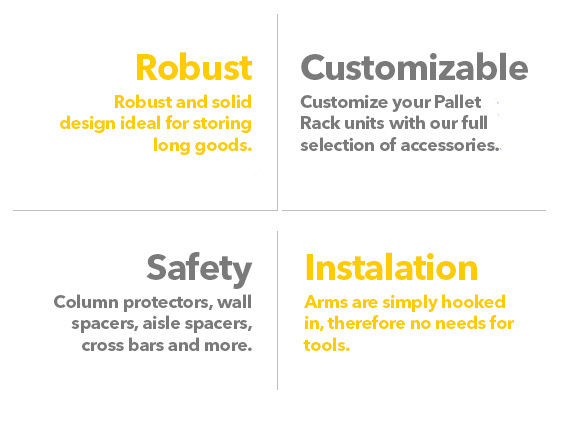 This cantilever racking is ideal for storing materials, pipes and long bulky items because it can be configured easily to fit the storage system. Free standing racking can be moved from place to place quickly. Each side can take a load of up to 300 kg on a boltless system. SSI SCHAEFER designs and installs shelving especially suited for storing and organizing automotive parts such as prop shafts, fenders, cables, wires and trims. SSI SCHAEFER Heavy Duty Cantilever systems are ideal for the storage of larger items with a loading capacity of up to 1000 kg per arm. Its arms are up to 1800 mm long. 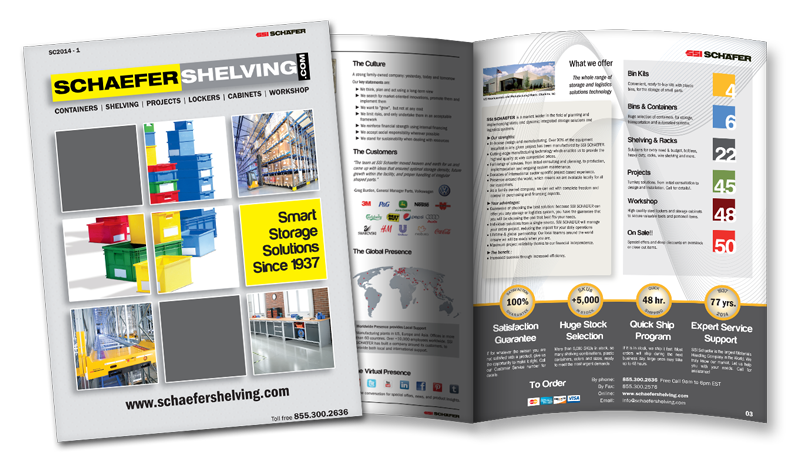 Our heavy duty cantilever systems can be designed for special storage of non-standard sized products. At available heights of up to 9 metres, SSI SCHAEFER Heavy Duty Cantilever systems are adjustable at 75 mm pitch for single or double entry. It can also be fitted to electrical mobile cases. To facilitate shipping, heavy duty cantilever racks have bolted base. 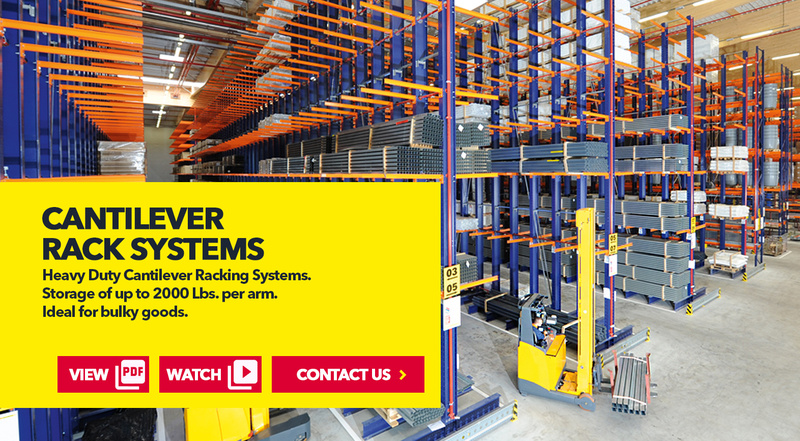 Watch SSI SCHAEFER cantilever Rack Systems in action!